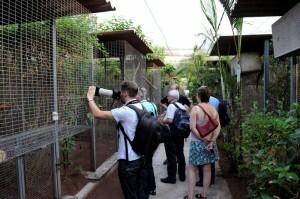 The breeding center in La Vera is one of the most valuable places of the Loro Parque Foundation. It is a unique site, which occupies 30,000 square meters of an old banana plantation; a paradise of lush vegetation with everything needed for our parrots to feel comfortable and at ease. 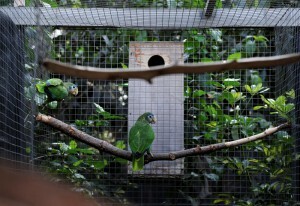 In La Vera, just a couple of miles from Loro Parque, are most of the 4,000 parrot specimens of our reserve: 350 species and subspecies, many of them seriously endangered. 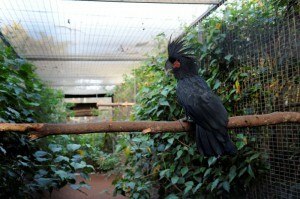 Our veterinarians and keepers make a very special monitoring of each of our birds here. For us it is important that they feel in the best environment. This is why have arranged nearly 1,200 large aviaries surrounded by plants and covered with nets that filter light and guarantee an optimal and healthy environment for our birds. 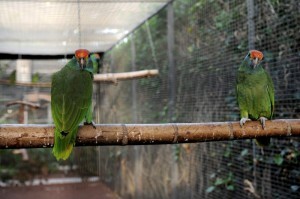 The breeding center in La Vera is essential for the Foundation. In it we ensure the maintenance of species that could disappear with any small natural disaster; we breed in order to trade responsibly, to reduce poaching of free specimens, and to make an important contribution to international studbooks for some rare species. These documents are genealogical records that serve as a guide to the management of endangered populations, which can later be reintroduced into the wild. La Vera also allows us to cooperate with the European Programs for Endangered Species of the European Association of Zoos and Aquaria. Profits obtained from the sale of common and well-known species, bred here in captivity, are fully invested in conservation projects we undertake worldwide.